SINGAPORE: Prime Minister Lee Hsien Loong’s operation to remove his prostate gland was a success, said the Prime Minister’s Office (PMO) on Monday (Feb 16). He is expected to recover fully. “The surgery went very smoothly,and he is expected to recover fully,” said Prof Cheng. He also confirmed that there is no relationship between the previous lymphoma in 1992 and the current prostate cancer. 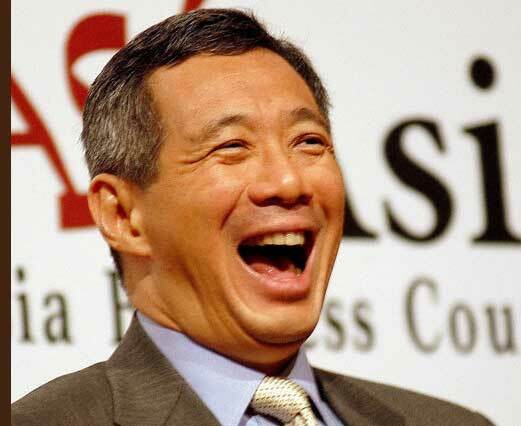 PM Lee also said that he is “grateful for the well-wishes from all”. It came as world leaders, local politicians and Singaporeans took to social media to express their well-wishes for Mr Lee, many with the hashtag #GetWellSoonPM. India’s Prime Minister Narendra Modi and Malaysia’s Prime Minister Najib Razak were among the world leaders that offered support. Other Singapore leaders including Deputy Prime Minister Teo Chee Hean, Manpower Minister Tan Chuan-Jin and opposition parties such as The Workers’ Party – also took to social media to share best wishes for Mr Lee. Meanwhile there have been very rude messages from people who are not able to distinguish the person from his policies. People like former Reform Party member Alex Tan who wanted to see PM Lee dead. And readers from The Real Singapore who generally were being childish and moronic. “You shouldn’t wish death upon your worst enemies,” said John Tay, 34, an insurance agent.